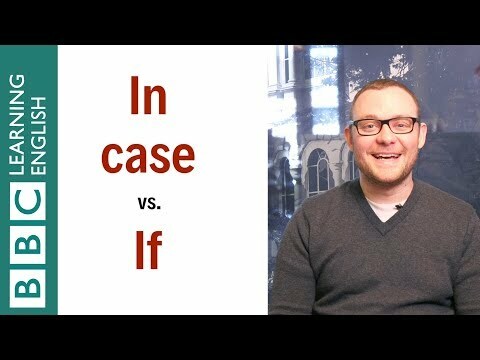 ‘in case’ and ‘if’ in today’s English In A Minute. 1. I’ll call you if I need help with my homework. 2. I’ll call you in case I need help with my homework. but it depends if I need help or not. 1. I’ll take an umbrella in case it rains. 2. I’ll take an umbrella if it rains. because it is raining when you leave. join us on social media or on our website. In case you can’t remember the link, here it is.